Is this the same show that was on the Different Stages CD? If so then why are we getting it again? Edited by rugen, 10 November 2017 - 03:22 PM. 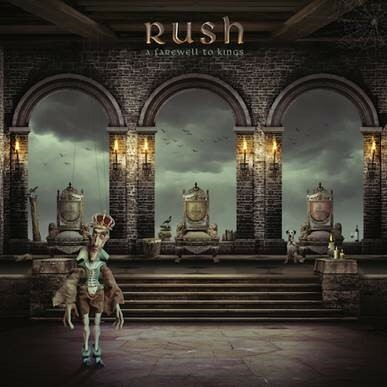 They released a 40th anniversary edition of RUSH, 2112 and Farewell To Kings. Why no Fly By Night and Caress Of Steel? Let's start making predictions on Hemispheres' 40th anniversary cover? Maybe because the band is not as proud of those albums to worth a new edition. I would not be getting this if they would have left lakeside park and closer to the heart on the disc 3 of different stages. they had the room for it.. that would have been enough for me..
At this point Ole gets to decide what albums get the reissue treatment though it would be nice to have the 2015 masters used for budget Archives kind of release..
We got to hear truncated versions of Anthem and Lakeside Park on the R40 Tour to commemorate those albums. Woohooooooo!!!!!!!!!!!! Jeez, those are some serious foot pedal chops near the end of this song! How are you guys able to watch this video? It's not available on my end. It’s not really a video, but just the song. Can you not hear the song either? Edited because my comment was mentioned and redundant. Edited by 78jazz, 14 November 2017 - 04:04 PM. I don't know what Syme was thinking with the art for the Closer To The Heart single. No context. I got a notice from the "A to Z" online store that my AFTK deluxe version shipped and will arrive tomorrow. The final cost ended up being $97.15. Geddy's balls hadn't dropped then so he could still sing like Kate Bush. Edited by treeduck, 01 December 2017 - 01:41 PM.